Annual review of best costumes is usually followed by the review of costumes that surprised me, made speechless and gave me a desire to burn them just right now. 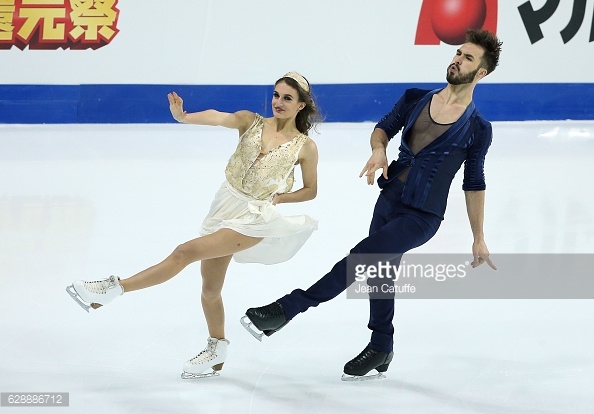 Let’s start with Piper Gilles / Paul Poirier and their costumes for the short dance. To be honest, I don’t know what to do with them. 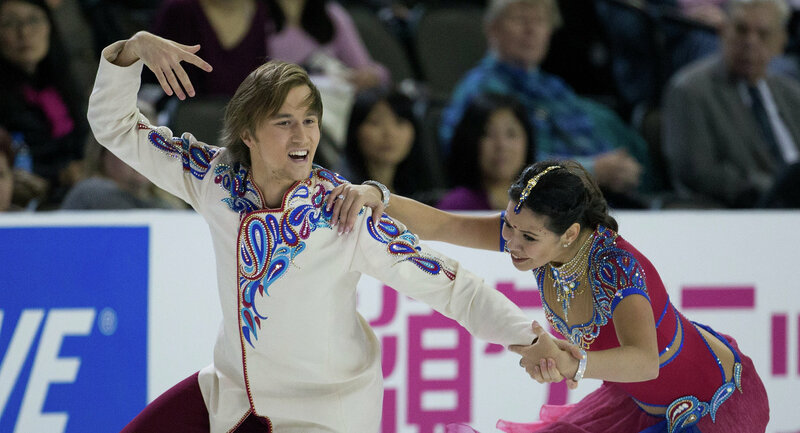 Are they worth rubric “Take it off immediately” or it was costumes totally in the style of the program? A bit weird but in style? Ok, let’s vote. As for others, there’re no doubts) That was a bad choice of costumes. Natalia Kaliszek Maksym Spodyriev. Well, that was bad. Especially the pink top. Moreover, I’m sure, if dancers can’t show the change of style without change of costumes, they’re actually not a good dancers. It seems that Australian guy was just running past the ice rink……in his every day clothes….. But Dubreuil-Lauzon’s team was beyond competition! How could it happen?! Marie-France is such an elegant woman, with such a good taste in clothes! How could she let her skaters wear this fashion catastrophes? It seems to me that Gabriella and Guillaume put on first things that fell out of their wardrobe: nighti and net t-shirt. 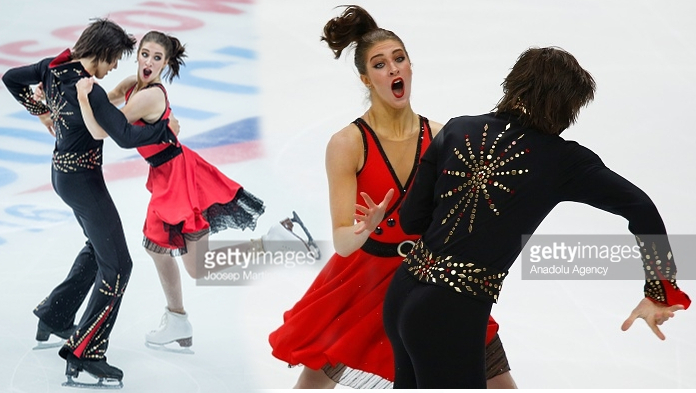 Have they even seen each other’s costumes before first competitions? Madison, where did you get these stripes like on Adidas sports wear?! I absolutely agree. To burn them all! And can we also talk about Piper’s highlighted hair for a moment? Of course we can) Do you like it? The hair is kind of cool, but it would look much better with a better costume. That said, I always like to see people trying new things in the sport. And little details make the whole program better.